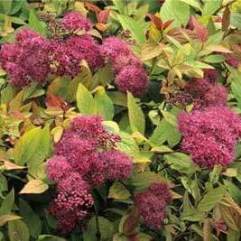 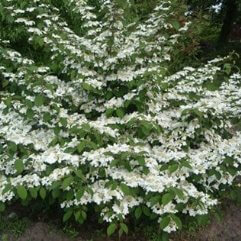 Spirea japonica 'Anthony Waterer' is an upright deciduous shrub. 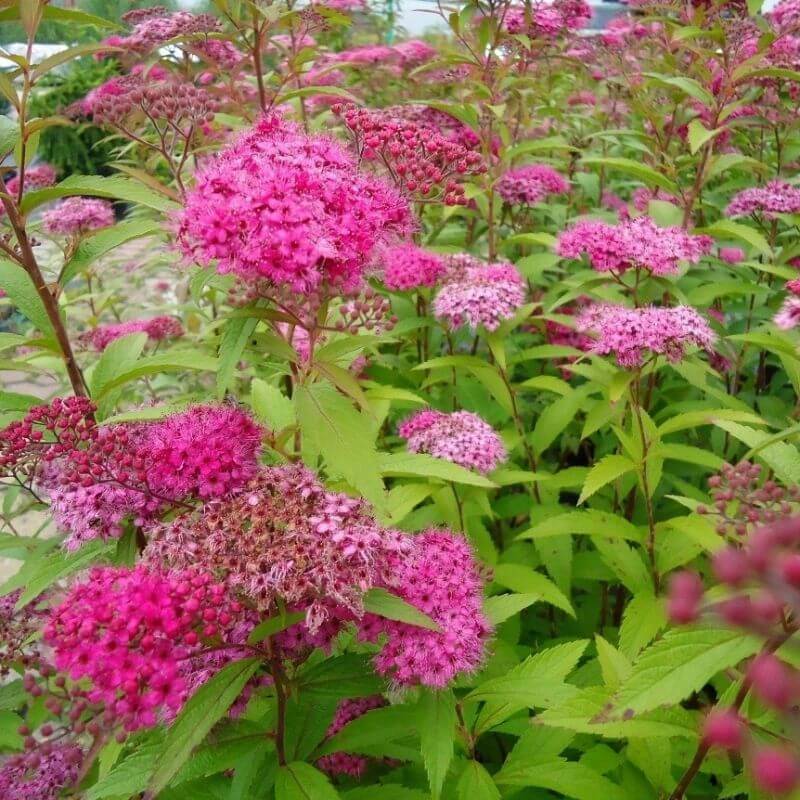 In late summer it produces clusters of rosy pink flowers. 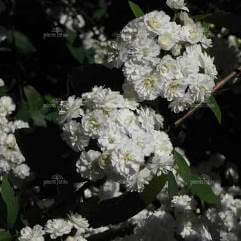 It has variegated green and white narrow leaves which get a tinge of pink in summer.